Everyone in business is busy – it's a given. But, recruiting isn't something you should put on the back burner for too long. Well, recruiting is sales and marketing – for finding the top talent in your market. Do you think sales and marketing are unimportant in other aspects of your business? I'd venture you just shook your head no. Smart managers understand the importance of hiring the right people. Poor hires can have a huge, negative financial impact. Hiring the right employees is the best way to grow the business and achieve your company goals. Despite the importance of recruiting, few managers dedicate the time required to the do the job properly. Here are some reasons why recruiting deserves more attention and how you can use quick recruiting methods to win. Making bad hiring decisions is more expensive than you may realize. 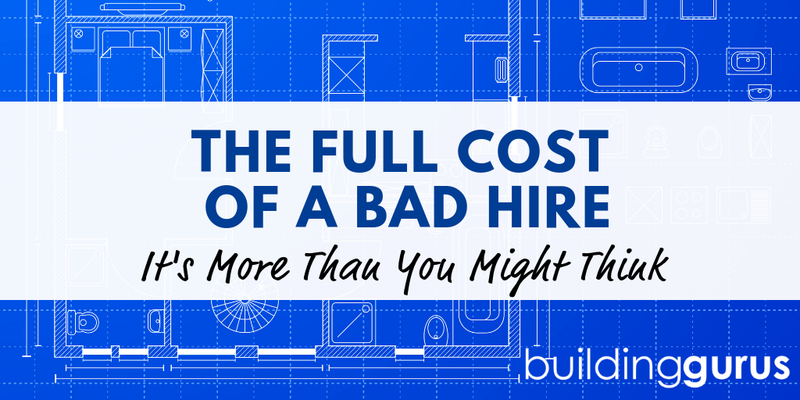 27% of managers surveyed by CareerBuilder said a single bad hire cost the company over $50,000. Think about that for a second. Shoe retailer Zappos actually offers all employees $2,000 to leave the company. Because CEO Tony Hsieh estimates poor hiring choices have cost the company more than $100 million. He'd much rather pay unhappy employees to leave the company than to keep them in place and have them continue to cost the company. Start calculating what it truly costs you to hire – and then think about having to double or triple it when you make a poor hiring decision. The flip side of a bad hire is the potential for recruiting a superstar employee who can grow your business year over year. Do you have stretch goal sales targets you want to hit? Or do you have a project in development falling short of its deadline? Hiring the right employee can make the difference between blasting through your goals and not even coming close. Get excited about the opportunities that new employees bring your company. If you calculate the financial cost of hiring poorly and add in the cost of not hitting your goals, I think you'll find a little bit of time you can devote to finding and attracting the best. Hiring well isn't something you just do once and move on from. Finding the best employees time after time takes skill and a pervasive mindset in your company. Recruiting should be as much a priority as any other task. Don't let it get relegated to the “when/if there is time” or the “gee, that'd be nice to have” pile. Make time for it. When you know you need to hire well & quickly, you need a good plan of action. Keep your job descriptions and job ads updated, develop a company-wide recruiting mindset and get crystal clear on what you want/need – when the time comes most of your groundwork will be done or well on its way. We all know that having a connection can make all the difference in every aspect of our companies. You need connections in your industry – with leaders, mentors, people at every level basically. They give you information, allow you to compare your success against someone, they can offer advice, and they can be available when you have to find someone right now. Don't be icky about it – develop genuine, mutually beneficial relationships with people in your industry. You never know when you can help them or vice versa. When I am running a search, I might connect with 200+ people, use a network of 12 or more places to source and connect with candidates and spend days getting through everything. While that makes for a very thorough search, I know you have many other things required of you in your day to day job. So, don't feel like you have to be everywhere or be everything. If you've spent time already thinking about this – you know exactly where to show up. Don't feel like you have to post on 100 job boards, find obscure associations and connect with 1,000 people tomorrow. Pick the areas that are the most important and have yielded the best results. Craigslist might help you find a blue collar worker, but it isn't typically great for executives. Monster may yield great results, or it may end up costing you hours of wading through not-right candidates applying to any new opening they see. You have to decide what will work best for you. Pick the best of the best and focus your energy on that. No matter what industry you are in, sometimes you need some expert, outside help. If you absolutely have to get this hire right and don't know where to start – or you truly don't have the time, it might be time to turn to an expert. Finding and developing a relationship with a world-class recruiter can make all the difference. When time is tight, or you don't know how to find the person you need, a talented recruiter is a great option. Even better – develop these relationships before you actually need them urgently. You'll have better success if you've found a hiring partner rather than just the first person who answers the phone. When you know you need to recruit, but you feel you don't have time, take a second look at the situation. Recruiting isn't a chore, it can be the difference between winning and losing at hiring.